Global automakers will gather under a cloud of market uncertainty when they descend on China next week for Auto Shanghai 2019. New-vehicle sales in China — long a driver of global growth — remain in a slump after a grim 2018 that saw the first annual decline in decades. Tension now swirls around the state of trade, with the U.S. and China locked in a standoff that has dented the Chinese economy and saddled U.S. imports with hefty tariffs. Meanwhile, electrified vehicles — the only segment seeming to enjoy an upswing there — faces big questions after the government slashed the generous incentives and subsidies that have kept sales of battery-powered vehicles artificially inflated. The Shanghai show is traditionally a launch pad for unbridled optimism about the potential of the world's top auto market. But gone are the double-digit growth rates. Passenger vehicle sales tumbled 18 percent to 3.24 million vehicles in the first two months of this year. Even crossovers — once gobbled up with abandon by Chinese consumers — couldn't stem the stampede away from showrooms. Crossover and SUV sales dropped 19 percent through February. Full EV sales, by contrast, more than doubled to 114,000 vehicles in the first two months. The broader category of new-energy vehicles, which includes plug-in hybrids, rose 99 percent. In Shanghai, automakers will be peppering their global debuts with a little of everything in an attempt to hit an increasingly small sweet spot. Audi will unveil a design study meant to show the brand's vision for electric cars of the late 2020s. Sketches of the AI:ME concept depict a wedge-shaped hatchback with a sporty stance and a large sweeping windshield. Audi also will debut the Q2 L e-tron, a long-wheelbase, full-electric version of the Q2, which will be built in China by FAW Volkswagen. A long-wheelbase version of the venerable BMW 3 series, developed for Chinese customers, makes its global debut before a home audience that prizes extra legroom in the back seat. Also making a world premiere is the BMW X3 M, the popular crossover's performance variant. Startup Bordrin Motor Corp. will unveil its first production model, the B31 SUV, along with an undisclosed premium-segment concept vehicle. Production of the B31 is to begin this year by FAW Group. Bordrin will begin taking orders during the Shanghai show. The redesigned, next-generation Encore subcompact crossover takes the stage, as well as a new stablemate called the Encore GX. Watch for the GX to be a larger, or stretched, version of the standard Encore. Buick also will introduce an electrified product and a concept vehicle, but it's not talking details yet. BYD will debut the concept of a midsize plug-in hybrid sporty sedan as well as a compact crossover, the SA2. The SA2 will offer gasoline, plug-in hybrid and full-electric versions. Chevrolet is doubling down on crossovers in China with two global debuts: the Tracker and Trailblazer. The duo will feature General Motors' "latest propulsion, intelligent connectivity and safety technologies," the brand says. 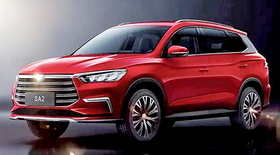 The next-generation Escape crossover, with a unique front face designed for China, will make its global auto show debut after its April 2 unveiling. 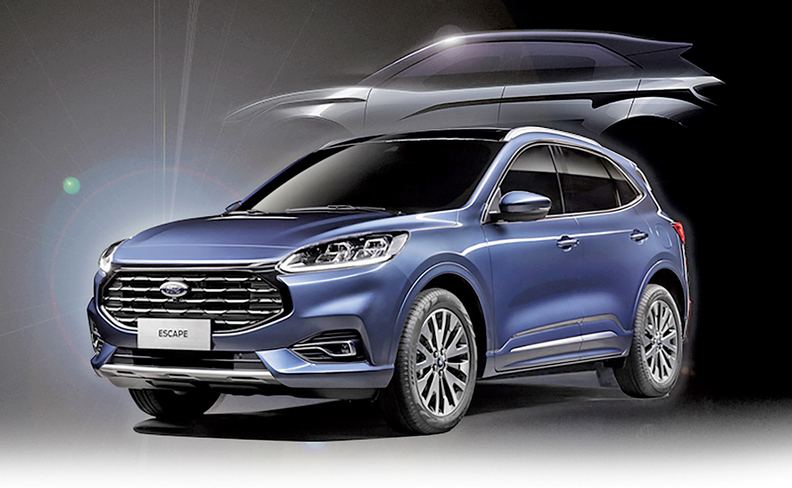 The styling is part of Ford's push to boost sales by launching more products geared toward Chinese tastes. Electric vehicle startup Hozon Automobile will unveil its second product, a full-electric SUV. The vehicle has a range of 310 miles. Hozon launched sales of its first product, the N01 compact electric crossover, in January in China. Infiniti will unwrap a QS Inspiration, an electric sport sedan concept that previews a future production model and is based on a new platform for electrified powertrains. It is said to be a riff on Infiniti's Q50 sport sedan. The QS Inspiration's "minimalist cabin" features two distinct zones — a clutter-free cockpit designed to engage the driver, and a relaxed passenger zone, Infiniti says. VW's new Jetta brand will likely give a public debut to its first three nameplates: the VS5 compact crossover; the VS7, a crossover slightly bigger than VS5; and the VA3 three-box compact sedan, according to FAW Volkswagen Automotive, VW Group's joint venture with China FAW Group. Jianghuai Automobile Co., one of China's top EV makers, will unveil a subcompact full-electric crossover called the iEVS4. JAC's latest entry will have a range of 260 miles. EV startup Leap Motor will debut a battery-electric SUV with a range of more than 310 miles and Level 3 autonomous driving capability. It is Leap Motor's second product, and the company plans to start selling it in China toward the end of 2020. A new sedan will take center stage as Nissan moves to update its lineup. The Japanese carmaker offered no details about the mystery nameplate, but it is expected be a next-generation Sylphy, sold in the U.S. as the Sentra. Renault rolls out a preproduction version of the low-priced, 155-mile range K-ZE electric minicar, which is based on the Kwid crossover that the brand sells in India, Brazil and other markets. It was first displayed as a concept in October at the Paris auto show. The K-ZE will be sold first in China, but other markets are likely to follow, the company said. Toyota will go electric with a battery-powered version of its C-HR subcompact crossover. A variant will be badged as the Izoa for sale through Toyota's second channel in China. Toyota will also show a full EV concept car called Rhombus, designed to appeal to people in their 20s, with the driver's seat in the center of the cabin. Volkswagen's I.D. Roomzz concept teases a large full-electric SUV that the automaker is developing as a rival to the Tesla Model X. The vehicle showcases VW's ideas for autonomous driving. It has Level 4 capability, which means it can drive itself but it has a steering wheel so the driver can take back control. The I.D. Roomzz is based on larger version of VW's MEB electric architecture. The roomy interior has an innovative seat configuration and customizable lighting. The production I.D. Roomzz likely will be a three-row, seven-seat SUV similar in size to the VW Touareg. It is expected to go on sale in China in 2021, followed by the U.S. in 2022, and Europe in 2024. 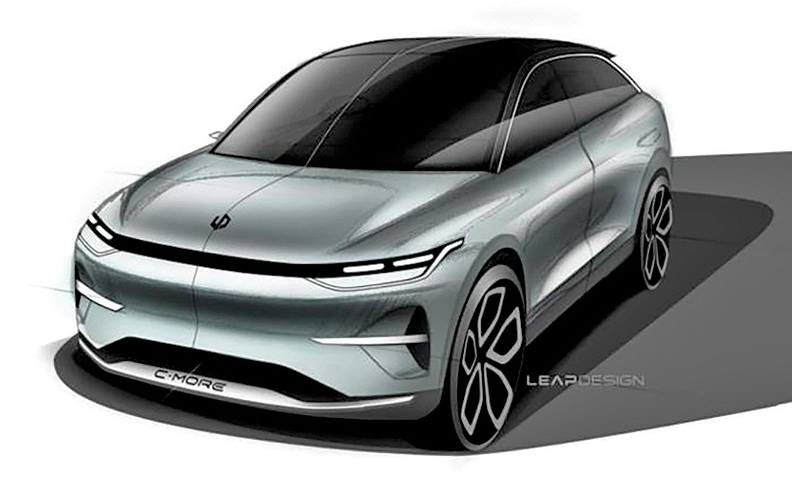 EV startup Xpeng Motors will show a midsize battery-electric sporty sedan concept of the upcoming E28. The production version of the E28 will arrive in China before year end. Douglas A. Bolduc, Christiaan Hetzner, Urvaksh Karkaria, Paul McVeigh, Peter Sigal and Yang Jian contributed to this report.